TUSUR team represented the Tomsk Region and the School of High Sportsmanship in the rowing competition for the Russian President’s Cup. The team of the Tomsk region got the third place in the men’s four race and the fourth place in women’s pairs and men’s pairs. 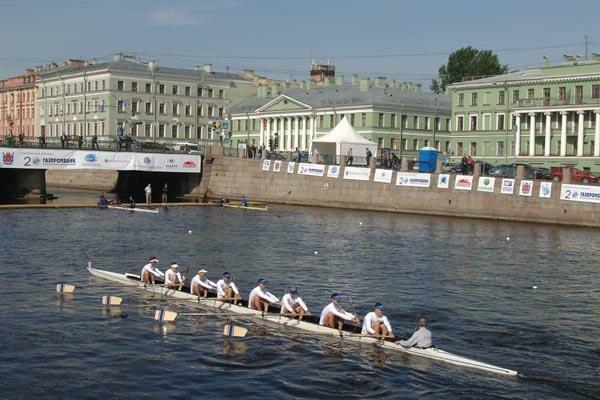 Tomsk rowing crew also won the fifth place in women’s fours and the sixth place in light-weight pairs, while a team from St. Petersburg became the winner of this Regatta. 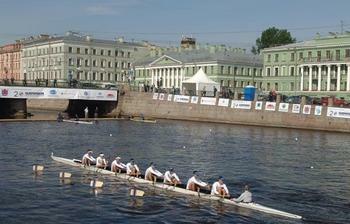 The President’s Cup Rowing Regatta took place in St. Petersburg on May 27–30 and was dedicated to the 150th anniversary of rowing in Russia and the 65th anniversary of the Victory in World War II. The list of participants comprised 2008 Olympic Champions from Russia and Belarus, World champions and champions of Europe from Germany and Hungary, legendary teams of eight from Oxford and Cambridge, and the strongest teams from Yale and Harvard. Tomsk region was represented in this prestigious competition by students of TUSUR, namely: masters of sports Anatoly Baturin, Viktor Nikitin (athletic club of TUSUR), Evgeny Varov (all of them are students of the School of High Sportsmanship), candidate masters of sports Stanislav Katkov, Olga Halaleeva, Lidia Altyshkina, Kristina Kachurina, Maria Chernova, Darya Semykina, and Veronika Zamkovenko. After competitions were over, the Russian President Dmitry Medvedev hosted a reception, where Anatoly Baturin, the team captain, represented the Tomsk region.